Summer 2017, Drusuna-Pagan Ritual Folk received international attention resulting in management at My Music Matters Management Triad. 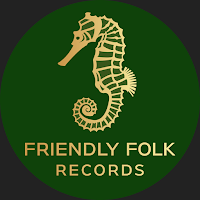 March/2018 found the release of Kaytos Kom (EP) via Friendly Folk Records. You can order from your favorite worldwide digital platform HERE! Drusuna is a Pagan Folk Band from Gallaecia (Northern Portugal). The roots of Drusuna project began in 2009 by Sephirus and brother Alvahagal (who is longer with the project, but his inspiration remains). The initial idea was to create primitive sounds with only organic ethnic musical instruments made from wood, stones, and other natural elements. The main idea was to build something directly from the roots of the earth, because the call of nature was the driving force behind the project. Torano joined the project (2011) introducing wind instruments like bagpipes and whistles. The original compositions were created deep in the forest, away from people, just playing rhythms and melodies and enjoying nature. By 2014 Waili (didgeridoo) and Kluto (guitar) joined in and Drusuna became an official band. After two years of productive rehearsals came the concept of their debut album, “Kaytos Kom” (2016). This is an introspective conceptual work that takes a deep journey through ancient time and space; an era where humankind was connected with nature and ancestral roots were strong a pure. Drusuna left the forest and hit the stage in 2016 at Oestrymnis folk festival, Ponte da Barcacelt folk festival and other stages throughout Portugal.